Exhibitors said the show drew buyers. 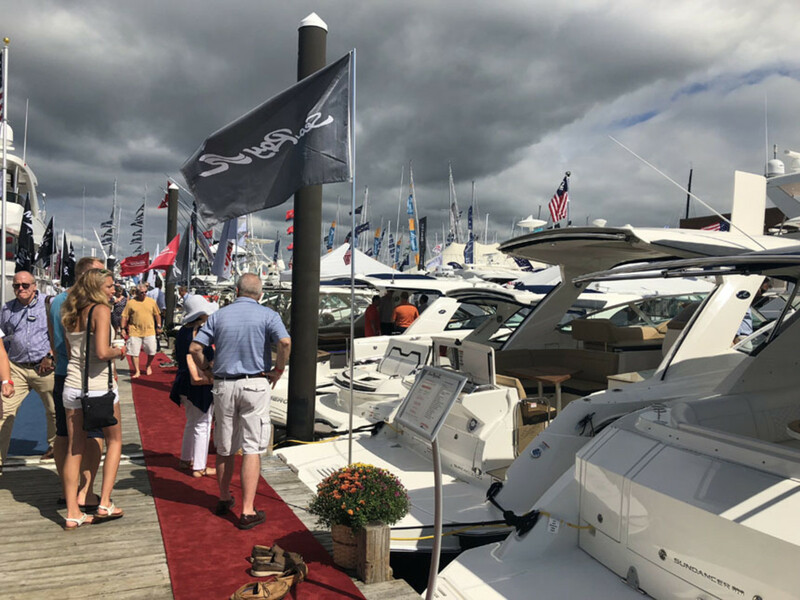 NEWPORT, R.I. — The Newport International Boat Show, which kicked off Thursday and ran through Sunday, attracted strong crowds and buyers. 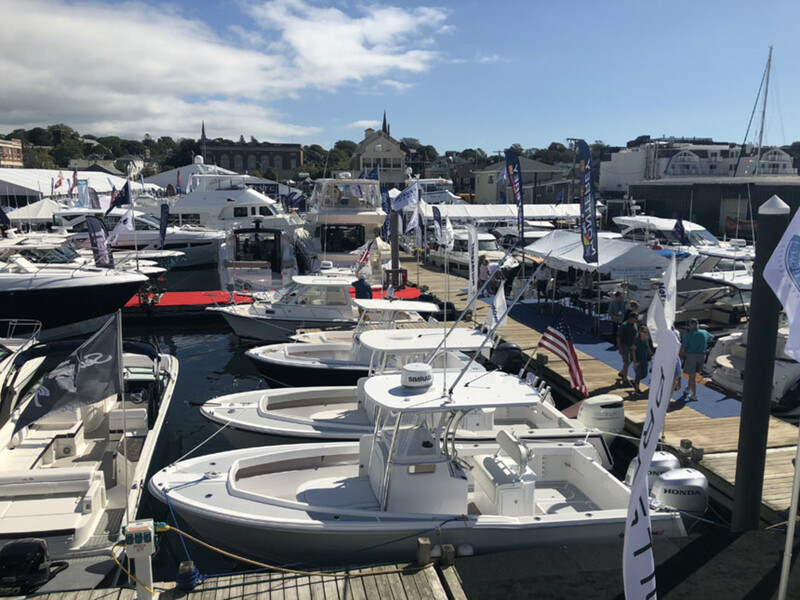 Boston Whaler doubled unit sales over last year’s show, and quadrupled dollar amounts, East Coast business manager Doug Nettles told Trade Only Today. Half of the Boston Whalers sold were to people who “came out of the woodwork,” Nettles said. “No one had spoken with them prior to the sale,” said Nettles. 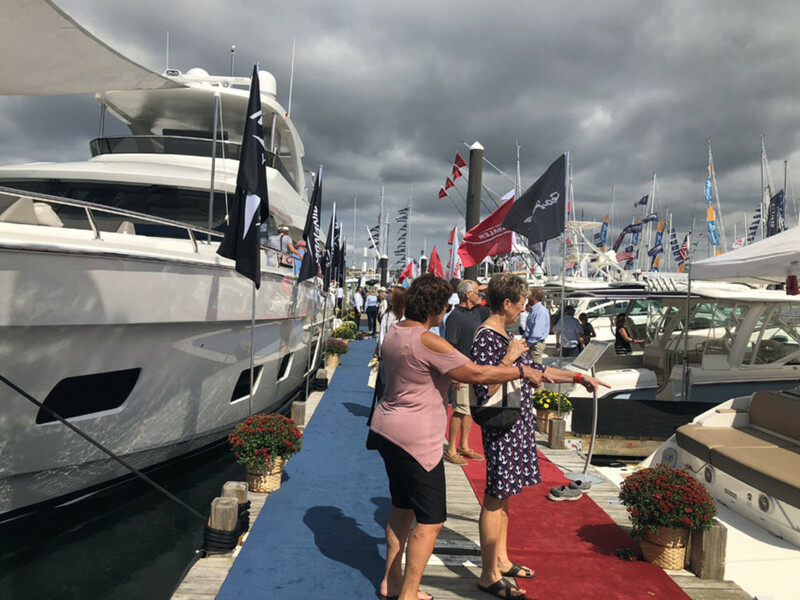 Back Cove Yachts’ new 34O — the first outboard-powered boat in the brand’s lineup — was so busy on Friday it was difficult to board. The boat won the Newport For New Products in the best new powerboat under 35 feet, and the People’s Choice Award. It is one of few boats to have earned the People’s Choice award, as well as Newport For New award. Grady White was generating enthusiasm with its Freedom series, said Sheila Giancola with Cataumet Boats. 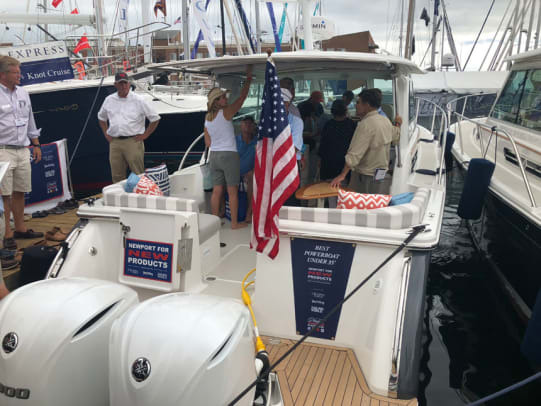 A 335 Freedom was in the water for sea trials, courtesy of Yamaha Marine, and was powered by dual 425 hp XTO outboards. “This is a 16,000-pound boat, and these will get it up on plane in four seconds,” said Capt. Shannon Pickens, who travels to various shows for Yamaha to conduct sea trials. Bertram’s new 61 Convertible drew crowds as well. All of the Newport For New Product awards were announced Friday morning at a press breakfast. The Parasailor USA Catch and Lift Rescue System, which won for Best New Boating Operation, Safety or Maintenance Product, is a system that can help someone rescue a person from the water easily, even if they weigh more.